Welcome to the Diagnostic Center at Currey Ingram Academy. We provide psychoeducational, speech/language and occupational therapy evaluations for students from public and private schools across the country. 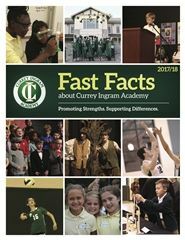 The Center is located at Currey Ingram Academy, a K-12 college-preparatory school for students with learning differences. 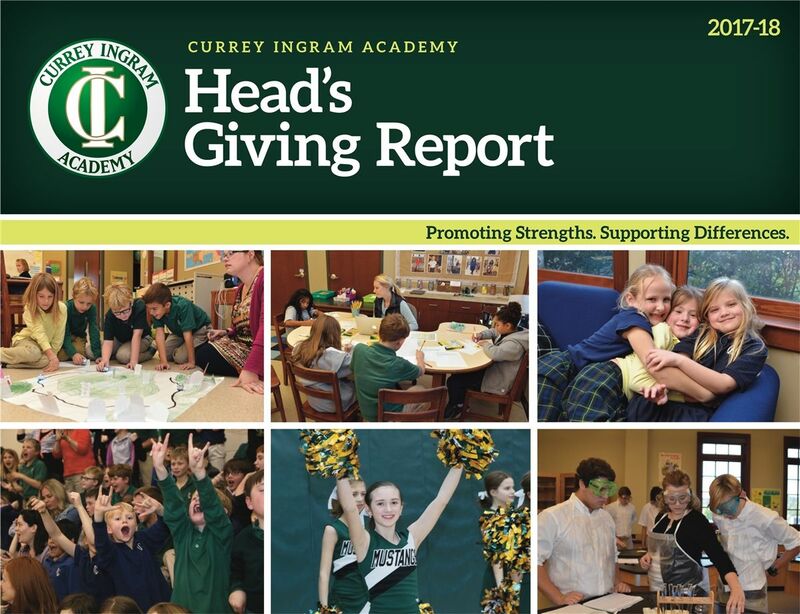 It is important to note that students are evaluated as young as age three, and the vast majority of students evaluated at the Diagnostic Center go on or return to schools other than Currey Ingram Academy. Explore the pages here and feel free to contact us today at (615) 507-3171 for more information. Diagnostic Center team members have a variety of experiences in clinical and school psychology, child development, test administration, and OT and speech/language assessment and intervention. We are committed to conducting comprehensive assessments that go beyond simply reporting test scores. Instead, our goal is to get to know each child as thoroughly as possible and to produce a report that fully explores the child's learning challenges and strengths. This helps us point a clear path toward effective interventions and strategies for each unique child. Dr. Bender earned a combined Ph.D. in clinical and school psychology from Hofstra University in 1996. She is licensed as a psychologist through the Board of Healing Arts and as a school psychologist through the Tennessee Department of Education. Dr. Bender has worked with individuals ranging from early preschool through college age presenting with a broad range of educational, emotional, and behavioral difficulties. Her unique training in both clinical and school psychology provides a strong background for working with children with special needs and academic struggles. Dr. Bender’s particular areas of interest include autism spectrum disorders and the assessment of cognitive processing difficulties, which underlie learning differences. Mrs. Baldwin earned a Master’s degree in Speech-Language Pathology from the University of Memphis in 1985. She has held the Certificate of Clinical Competence from the American Speech-Language-Hearing Association as well as licensure by the Division of Health Related Boards in the State of Tennessee since 1986. Mrs. Baldwin worked with adults with diagnoses of neurogenic communication disorders in medical settings for fourteen years prior to working primarily with children beginning in 1999. She completed speech-language assessments and provided speech-language therapy services for children in the Lower School of Currey Ingram Academy from 2002-2010. Her stated areas of clinical expertise are determining children’s communication strengths and weaknesses through assessment as well as communicating that information to those involved with caring for them medically, educationally, and socially. Ms. Dunn earned her Specialist and Master’s degrees in School Psychology from Appalachian State University. She is licensed through the Tennessee Department of Education and holds her National Certification as a School Psychologist. Ms. Dunn’s background includes working in specialized school and mental health settings with children and adults experiencing a wide range of behavioral, emotional, and educational needs. She views the assessment process as a way to paint a full picture of every student, so that parents and teachers can gain a deeper understanding of how to help them reach their full potential. Dr. Emerson has a Ph.D. and Master’s Degree in school psychology from Tennessee State University. She is licensed as a psychologist with the health service provider (HSP) designation through the Tennessee Board of Examiners of Psychology and as a school psychologist through the Tennessee Department of Education. In addition to providing psychoeducational assessments and diagnostic testing for children and adolescents who present with a variety of behavioral, cognitive, and/or social/emotional issues, Dr. Emerson has 15 years of experience providing Applied Behavior Analysis services to children with autism spectrum disorders in their homes. Her areas of interest include autism spectrum disorders and the use of behavioral interventions to address a variety of difficulties in the home and school setting. Dr. Emerson believes that a comprehensive assessment should guide the implementation of effective interventions which are focused on a student’s strengths and skills rather than their deficits. Ms. Gallaher received her Master’s of Science degree in Occupational Therapy from Belmont University in 2001. She has held a National Board Certification in Occupational Therapy and licensure in the state of Tennessee, since 2001. Ms. Gallaher spent five years at the Vanderbilt Bill Wilkerson Center providing outpatient pediatric occupational therapy for children with a variety of diagnoses, including autism spectrum disorders, attention deficit disorders, developmental delay, and sensory processing disorders. 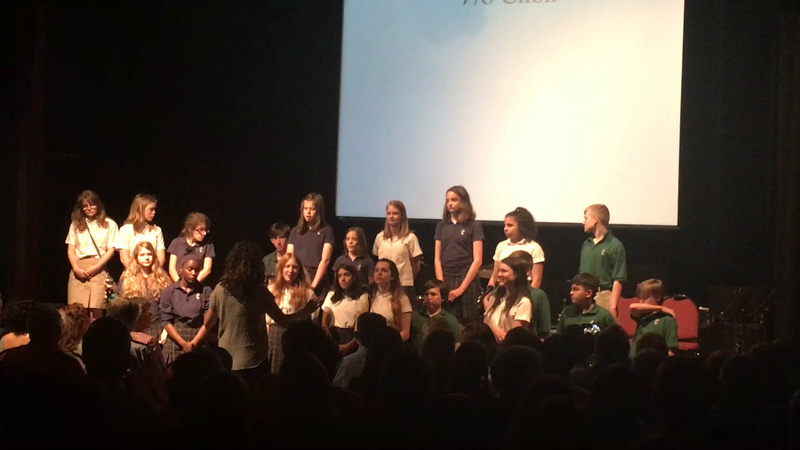 She became an Occupational Therapist within the Lower School at Currey Ingram Academy in 2007, and continues to work there full-time. Her specific areas of interest are handwriting, motor skill development, and sensory integration. Ms. Gallaher frequently gives presentations to parents and educators within these areas of expertise. She believes an occupational therapy assessment is beneficial to understanding how motor and sensory skills impact a child’s independence at home, school, and play. Dr. Kirk earned a Ph.D. in School Psychology from the University of Tennessee in 2010 after receiving her Master's degree in Educational Psychology. She is licensed as psychologist through the Tennessee Board of Healing Arts and as a school psychologist through the Tennessee Department of Education. Dr. Kirk has worked with individuals ranging from preschool age to adults in rural, urban, school, and clinical settings. Her desire is to use the assessment process to aid teachers, parents, and students themselves to better understand the individual’s academic and behavioral concerns so that they can work together as a team to give the individual the assistance he or she needs. Dr. Posavac received her Ph.D. from the University of Utah in 1997. She is a licensed psychologist in Tennessee and New York, and has worked with students of all ages as well as their families to facilitate educational achievement and emotional health. Her published research investigates topics such as educational interventions for children with learning and behavioral challenges and facilitating well-being among adolescents. Dr. Posavac’s professional focus is helping students and their parents gain a deeper understanding of the underlying root causes of the student’s academic struggles. Empowering the parent and student with such insight helps them better understand their learning difference: to see where the breakdown is occurring and, most importantly, how it can be overcome. Ms. Seay received a Master’s degree in counseling psychology from Trevecca Nazarene University in 2004 and is licensed as a psychological examiner in Tennessee through the Board of Healing Arts. It was her interest in children’s mental health that led her to pursue an advanced degree and career in psychology. She views assessments and testing as tools, enabling parents and teachers to better understand a student’s learning profile and social and emotional characteristics. Mrs. Ward earned an Ed.S. and a Master’s degree in School Psychology from Middle Tennessee State University. She is licensed as a school psychologist through the Tennessee State Department of Education. Mrs. Ward has held National Certification as a school psychologist since 2006. She sees the assessment processes as a way to better understand a student’s unique learning profile and to assist parents and the school in helping each child reach their full potential. Mrs. Wildish earned an Ed.S. and a Master’s degree in School Psychology from Middle Tennessee State University. She is licensed as a school psychologist through the Tennessee State Department of Education. Mrs. Wildish has held National Certification as a school psychologist since 1997. She has worked with a variety of individuals in both public and private school settings in Middle Tennessee. Mrs. Wildish spent five years as owner/director of a learning center providing cognitive assessments and training to children and adults. She also has experience as an elementary classroom teacher and has served as an educational consultant. Mrs. Wildish’s particular areas of interest are reading disorders/dyslexia and cognitive processing disorders.